A mind-blowing selection of early music CDs received from Lyrichord USA has drawn attention to this enterprising New York based independent label, which is not content to recycle canonic favourites. 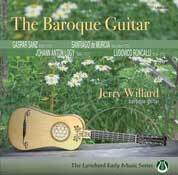 Two CDs with Bach on lautenwerk (lute-harpsichord), which are strung with gut strings, are of considerable interest. JSB owned several of these instruments and those recorded here were built by Anden Houben, who gives a full acount of their construction. The Leopard/Shawn duo tour with one single keyboard instrument and the other double, making for easier realisation of the organ trio sonatas and others, including modern works by Reger, Langlais and Distler. The sound is rich and full, but the performances are, to my ears, compromised by a rhythmic rigidity which soon palls. 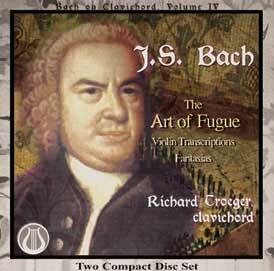 No reservations about Richard Troeger's pioneering recordings of J S Bach on clavichord. This is a revelatory ongoing series which establishes the suitability of that quiet instrument for playing and listening to most of JSB's solo keyboard music. This release (Vol. 4) is particularly ambitious, comprising the Art of Fugue, the Chromatic Fantasia and Fugue and some violin works in transcription [LEMS-8048]. 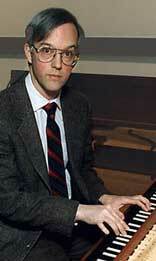 Troeger, a lifelong clavichordist and President of the Boston Clavichord Society, is a supreme advocate for the instrument and his playing is of great tonal beauty and rhythmic subtlety. Do read his interview in Clavichord International, 1999 and an article from the British Clavichord Society's Newsletter - "- - listen to this and see that in the hands of a great musician this instrument is a very much more than adequate vehicle for great music - - Troeger proves how much can be gained, rather than lost, in transferring large-scale works to an apparently small-scale instrument." 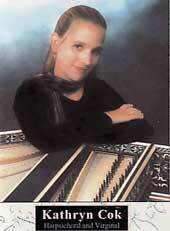 With modern recording, the clavichord sounds well on CD, provided you keep the volume well down. A recent release, greatly to be welcomed, is the first recording on clavichord of J S Bach's Six Partitas, a formidable undertaking, despatched with great conviction by Richard Troeger of Boston on a well filled double CD from Lyrichord. Troeger's Haas instrument (modelled on those of Silbermann) has a beautiful tone, and combines clarity for disentangling part writing with the incisiveness of the harpsichord, and a surprisingly wide dynamic range, without resort to registrations.